The current edition of New York's Time Out states: "One of the world's great cabaret singers, England's BARB JUNGR is a genuine original, deploying warmth, high drama and sensitive musicality to reinvent everything she sings. Her supple and versatile voice glows like a hearth on a winter’s day, and her emotional intelligence is faultless: She knows just how a song should feel." In this interview with Sebastian she talks about her work with US pianist John McDaniel, including UK dates in February, and about her work in various current and imminent theatre productions, notably a brand new show for Royal Court Liverpool: Liver Birds Flying Home. LondonJazz News: What were some highlights of your 2017? 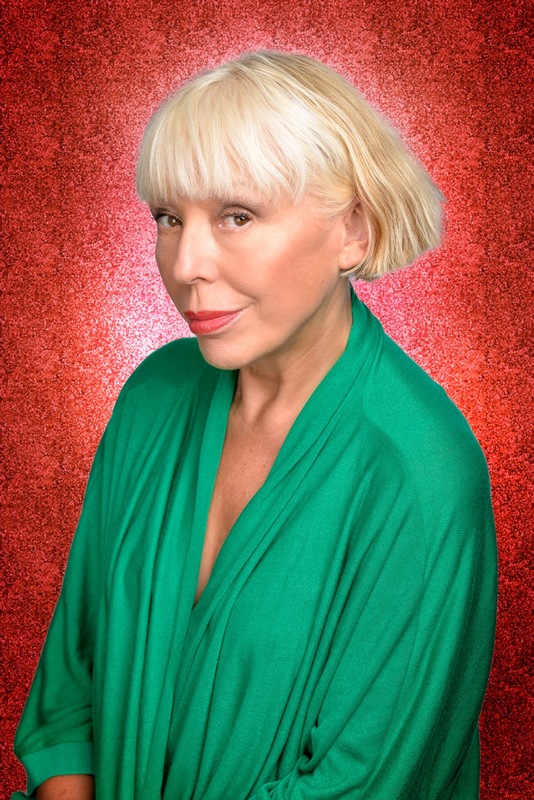 Barb Jungr: Workwise I had some wonderful 2017 moments: the Liver Birds Flying Home showcase in Liverpool was definitely one, as was working with John McDaniel at Joe’s Pub, NYC in July where we first aired the Sting explorations. I toured the Dylan all over the country and we started in January at Belfast’s winter festival at The Black Box and that was a roaring start to the year, and the last show of it we did this year was at the Tolmen Arts Centre near Falmouth and that was a joy. Connecticut in August. A bunch of shows in Berlin. All were a joy. And opening The Singing Mermaid at Northampton. Yes, it was a pretty lovely year for making new steps. LJN: Your Dylan records have come back into the limelight. What's the story there? BJ: Well about 18 months ago Linn Records suggested re-releasing Every Grain of Sand in a special anniversary edition on the grounds that “it's become a cult classic” which I think is a sort of compliment, somehow, and also makes me laugh. So they suggested I tour it (of course) and I got back together with pianist Jenny Carr who’d toured it with me in 2002 and we revisited the material. But I’m not a great one for looking backwards so we re-approached the arrangements and updated some and I found some songs I hadn’t sung for 10 years or more and also added ones I’d never even recorded, so it was fresh and felt sparkly and new and that was that. Alongside that I bumped into the Wall Street Journal jazz writer and author Will Friedwald and he sent me his book The Great Jazz and Pop Vocal Albums and I thought he’d mentioned me in the prologue or something so it was mind blowing to find an entire chapter on the Dylan recordings I’d made over the year including Every Grain of Sand, and I felt honoured to be in this amazing company, with chapters on Sinatra and Fitzgerald and Sarah and Billie - I mean, alongside the total greats! That was a blast. So the Dylan material kind of sucked me back in. I think I will never escape and that's probably beautiful. LJN: And for the beginning of 2018 you have a tour planned with pianist John McDaniel. For readers who don't know the name can you fill in some detail? And what's the history of your collaboration with him? BJ: Oh, John’s a Broadway legend. He’s hugely rated in the States. Classically trained and has played with everyone (Tyne Daly, Betty Buckley, Melissa Manchester, the list is endless and awe-inspiring - they all want him!) and was for a long time on national US TV very prominently leading the band on the Rosie O’Donnell show, all the arrangements, everything. He got two daytime Emmy’s for that. He’s the Artistic Director of the Connecticut Summer College (Eugene O’Neill Theatre Centre). I do master classes and perform at that annually (for the last five years), and we met before that when he saw me doing the Dylan in New York and said please come to Connecticut and let's be chums. So I did and we became fast friends and then started to work on Beatles together and recorded that and people love it and we’ve been all over with that and continue to tour it. What's lovely is he’s not only a beautiful arranger and pianist but he’s also a lovely singer so we can do interesting harmonies and I love that. It's a joy sharing the whole shebang. So now we are in January in the USA playing NY, Florida, Austin Texas, Chicago and St Louis, and in February playing three nights at the Pheasantry in London, Annies in Southend, Corby - the Core Theatre, the Newbury Corn Exchange and The Millgate at Delph in the Pennines. LJN: And without wishing to put in spoilers can you mention some of what will be in the programme? BJ: Well I can, yes. We have a lovely arrangement of Fragile and of Fields of Gold, they’re obvious. And some of the Police classics including obviously Englishman in New York. We’ve done something quite radical with Roxanne. John does a lovely song from The Last Ship that's tear-jerking. Sting’s interesting because of course we all know he’s a sparkly star and that but his writing is so interesting, both harmonically and text-wise. 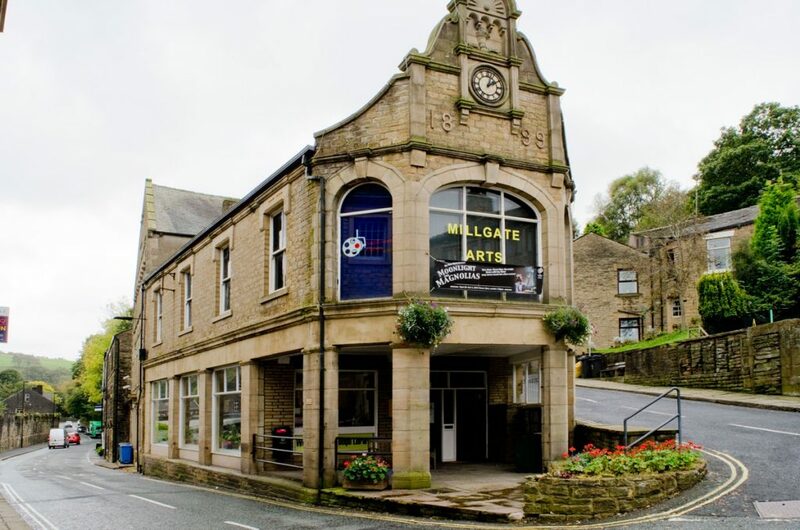 LJN: Going down that list of venues you mentioned there is an unfamiliar one - to me at least - the Millgate Arts Centre in Delph. Uh? BJ: Yes, the beautiful guys who ran The Swan at Dobcross, which I took Lawrence Hobgood to play at - he’d never been to the Pennines because of course with Kurt he came over and did London and that was that - they never ventured outside the M25 jazz limits. Laurence was blown out of the water playing this tiny room upstairs of a real English classic country Pennine pub. I introduced him to cheese and onion pie. I think he’s never looked back. 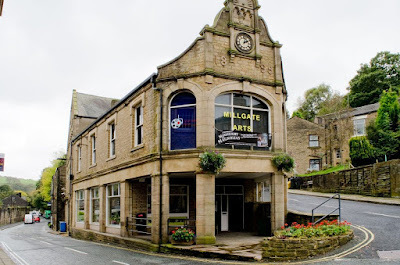 So the guys, Tim and Michael, who ran it, left the Swan and found this gorgeous theatre in Delph which is just on the hills around the corner near Saddleworth and took that over some nights and run it as a gig and theatre. They’re cooking up a storm up there which is great because you can get Sheffield people to come there as it's a hop and a skip and there aren’t a lot of venues up that way in that whole middle size. It's brilliant. A new venue. Bravo to them. It's a lovely old little gem of a theatre and a great new gig. LJN: Then there are - I think - at least four theatre productions coming up this year. Do you have the same role in all of them? What is the role? BJ: Well I’m co-adaptor and song and music for The Singing Mermaid and Chocolate Cake which are Little Angel Theatre and Polka Children’s theatre respectively. For Polka I am song and music for How To Hide a Lion. Chocolate Cake and Lion... both tour this year and Mermaid... comes from its Christmas run at Northampton to Little Angel in February. Then there’s Liver Birds Flying Home for which I’m lyricist and co-book writer. That goes on - and I’m absolutely over the moon to say this - at The Royal Court Liverpool which is a brilliant and massive theatre right at Liverpool’s beating heart, for a month in April! Mind blowing. LJN: And do the economics dictate that you record the instrumental music before the show or how does all that work? BJ: Depends. If the piece is for smaller kiddies and we have small casts and it's going into studio theatres I have to pre-record but I’ve made a thing of actually having real music and not constructed-on-your-computer music so the tracks that the actors and puppeteers sing to are all recorded with the best people I can get, and Jenny Carr works with me preparing the material for recording. She’s fabulous at making the band arrangements work. And I’ve had that genius Andy Hamill come and he’s given us some beautiful playing. Jonathan Lee, who of course works with James Hunter and is, for me, a completely under rated genius drummer, has done drums and Jenny plays keys of all kinds. I record at Christoph Bracher’s The Conference Room in North London as he has a superb full size piano. For Chocolate Cake we have actor musicians and then some material will be recorded as part of the sound design. I’ve got much more savvy about it all in terms in understanding how to create sound design and work with live and recorded music and these last few years have been wonderful in as much as I’ve really had to do coalface learning. The thing about the music being played is that the kids dance and move, because they know in their bones that it swings. I had that singing light Pete Horsfall do some trumpet on How To Hide a Lion because the Lion is real cool and whenever I am sitting watching a run or we have a new cast member in I’m reminded of Pete when the solos come. LJN: How to Hide a Lion is on already, right? BJ: Yes, in Manchester. In fact it finishes beginning of the year. It's been at The Royal Exchange Studio and it’ll tour the UK in the autumn. LJN: And tell us about the Singing Mermaid? BJ: That's opened at The Royal and Derngate studio in Northampton, and is playing to tiny kiddies for around six weeks - I went to see it a couple of days ago again to see how it was doing now it's up and running and it's amazing to see tiny children spellbound for 50 minutes watching these brilliant puppeteers sing and act and manipulate these beautiful puppets. We’ve adapted it from a Julia Donaldson (a name anyone with kids will know in their bones engrained deep she’s so ridiculously ubiquitous in children’s writing). The story has this lovely contemporary moral feel though itself it appears to be in a sort of “out of time” setting. BJ: Opens in March at Polka Theatre and then tours. LJN: And there is also one for adults: Liver Birds Flying Home. How did that get going? BJ: Well, that's a story! 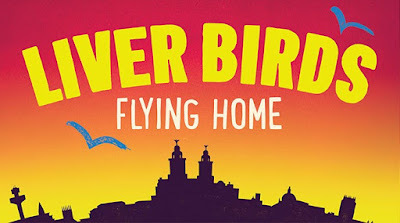 I was in Liverpool walking with my friend and now co-book writer George Seaton and I looked at the Liver Building and the birds up there and said “How come no one’s ever done a musical of The Liver Birds”? And George said “why don’t you?” and I said “ha ha, never get the rights” and he said “I know Carla Lane” (one of the original creators of the series with Myra Taylor) and I said “call her”. She had been asked many times and turned people down but she said yes to us. My interest was, what happened to Beryl and Sandra - who’d now be my age - and what if we joined them now and saw them in their youth and saw the difference between what you think life will do and what it does. So that's what we wrote. I asked Mike Lindup to work on it with me and he has written the music and songs with me, which has been a wonderful new collaboration. LJN: You're working with Mike Lindup in a songwriting partnership? BJ: Well, I went to Mike because we share a publisher and asked I’m if he’d like to work on it and he said “yes”. We had already done some writing together and found a sympathy as writers which you can’t make - it's either there or its not - and we started work and he’s a joy to work with. He has such an interesting ear for melody, and of course he’s a great and underrated, in my opinion, singer as well. Consequently he writes beautiful lines and has an amazing sense of rhythm from all those years in Level 42. So that's lovely and inspiring. He’s very fast as well, and we tend to get on a journey and drive as it were, and I like that forward momentum when you’re writing, because it can be so easy to get bogged down. Mike has a lightness of touch. It's strong, and light. That's a lovely combo. LJN: The balance of your work has shifted from solo performing to being part of a production team. Is that mostly a positive development? BJ: I love singing and travelling and writing and recording as much as I ever did. But theatre is interesting because it's such a different sensibility and you’re part of a team and share the ideas and it opens you, I think. It's opened me, and led me to new ideas and new thoughts, and I think it has had a knock-on effect - positive - on my own singing and work. Also, as you know, nearly all the musicians working in the UK, we all do more than one thing. That's an economic reality. It's a consequence of venue closures and the massive extra touring from the top down that everyone does because of music being largely regarded as something free and easily accessibly through piracy and the dreadful way that digital recorded music pays. Everything’s changed so radically we all have to think on our feet. As jazzers, that's probably one thing we’re trained for! LJN: Make a wish for 2018 ! BJ: I’d like to see Liver Birds... tour, and write the next musical that's bubbling in there in me ‘ead waiting for a chance to come out! I’d like to write with more people and play in Europe more. I’d like to get back up to sing in Scotland. I can go on wishes for quite along time and of course, peace and love and so on, never to be under estimated!